Has a recent situation made you do some soul searching? Maybe your passions changed, the kids have left the house, you experienced a breakup or got laid off. Perhaps some bad news came from a doctor’s visit, leaving you feeling completely lost in life. You don’t know where you’re going, you feel like you’re in the abyss of nothing, and things just aren’t going well for you. 1. Engage friends and family. Sometimes, when we’re lost we want to withdraw from the world. But in silence there is suffering. And so one of the best ways to find ourselves and our footing in life is by gaining perspective from others. Go sit down with a trusted friend or family member, and tell them how you’re feeling. Don’t think you need to know the answer or have an agenda for the conversation. Just go to lunch and open up. In talking it through you’ll start to see the way through. 2. Volunteer. When we feel lost, it’s often because we’re so focused on ourselves or a major issue in our lives. That’s the perfect time to switch it up and go serve others. Go give some time and energy to good causes or people in need. You’ll never meet a more positive network of people than volunteers. Their heart, positivity and spirit will give you hope and a new group of people to bounce ideas off of. And the service in itself will inspire you and relight your flame. 3. Read. People spend too much time searching social media for answers. Instead, put the phone down and go read a great book. Reading is the best laid path to gaining clarity. Reading has the power to spark ideas about living a better quality of life. It can give you the ambition and will for something better. So, pick up a few personal development or spiritual books, and get reading! 4. Gain momentum. You can gain shift your feelings by gaining momentum. Jus try accomplishing a few more small daily goals. These goals don’t have to be attached to your life purpose; maybe you haven’t figured everything out just yet. 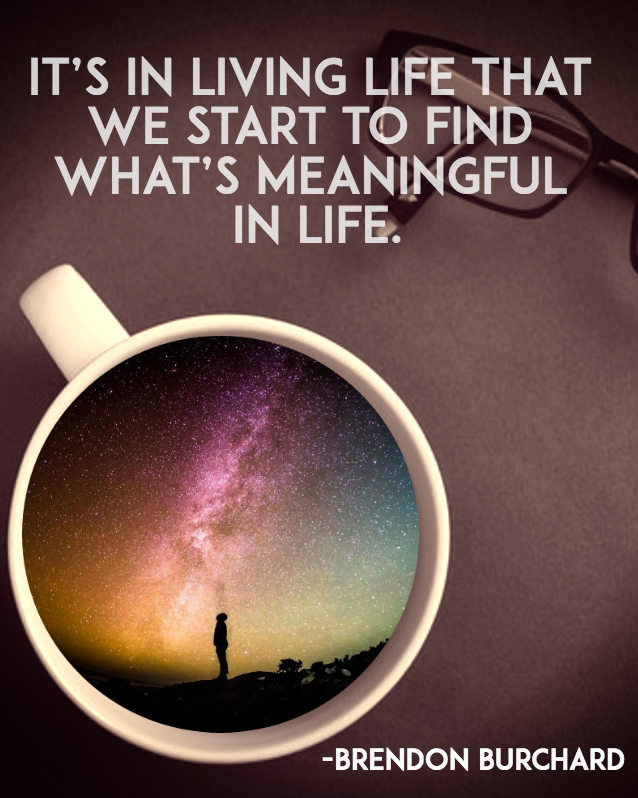 But it’s in living life that we start to find what’s meaningful in life. It’s in moving forward that we find confidence, that our eyes open, that the next path reveals itself. What do you do when you feel lost? Does it feel like the odds are stacked against you? Or maybe everything’s going fine, but you just feel out of sorts. Maybe you experienced a breakup, got laid off or the bad news came in from the doctor, leaving you feeling completely lost in life. You don’t know where you’re going, you feel like you’re in the abyss of nothing and things just aren’t going well for you. We’ve all been there before, and the good news is that you can be found again, you can find yourself again, and you can find vibrancy, joy, passion and health again. If we know anything from the human story, it’s that it’s marked by only two main themes: struggle and progress. So, believe that you can survive this moment. Believe that you will find your way through. 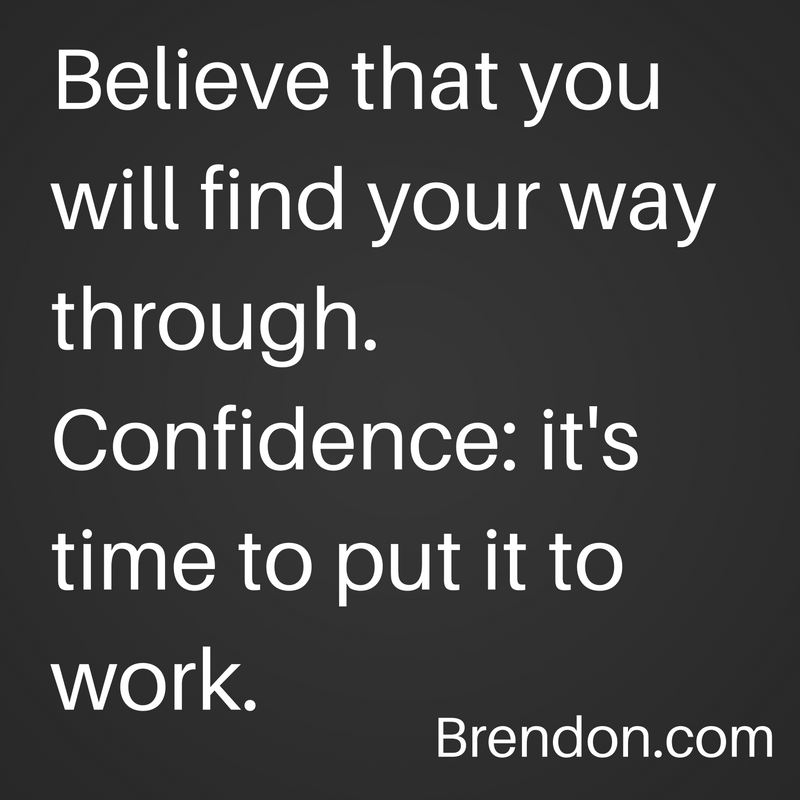 Have confidence. Confidence is defined by the belief in one’s ability to figure things out. You’ve made it through the tough times before. Even if this is bigger than you can handle right now, you will be able to make it through this one, too. So, here’s four ideas on what to do when you feel lost. First and foremost, whenever you feel lost and unsure, call a friend or family member. Go out with some friends for lunch or dinner, and just start talking. Share what you’re going through, how you’re feeling, and how you’re feeling unsure and lost. One of the greatest ways to find ourselves again is to get perspective, and this can be gleaned from others. When you go out with your friends, they may say, “Hey man, well, it’s not so bad”, or “Hey, remember when you did that before?”, or “Hey, let me help you”. If you are lost, it feels like you want to resign in life and pull away. The thing to do, though, is to engage. Find that family member or friend – that one person – who is a positive mentor or influence in your life. Go out and just talk it out with them. If you have a life coach, call them. If you have a therapist, call them. But you must engage with somebody who can give you some perspective as well as some good, positive energy as you’re dealing with this. The worst thing that you can do is suffer through it alone. When we’re lost or confused, it’s in our own silence where suffering arises and grows. So, engage with people. I know you might not want to, but connection will alleviate the suffering. It will help you get out of discomfort because good, positive social relationships help us find our footing again. Go volunteer. I really mean that. I know that when you’re lost, you don’t want to do anything but go get around people who do have a little bit higher level of energy and charge, who might have a little bit more connection with a mission or with purpose. It doesn’t matter what your volunteer activity is. Go volunteer on a domestic abuse hotline. Go volunteer at a local soup kitchen. Go volunteer at your local school. Go volunteer for Kiwanis, YMCA, Rotary Club, or Lions Club. There are millions of great non-profit organizations out there dying for some help, and you can be that light for the people and causes they serve. Sometimes, it’s in giving that you receive. 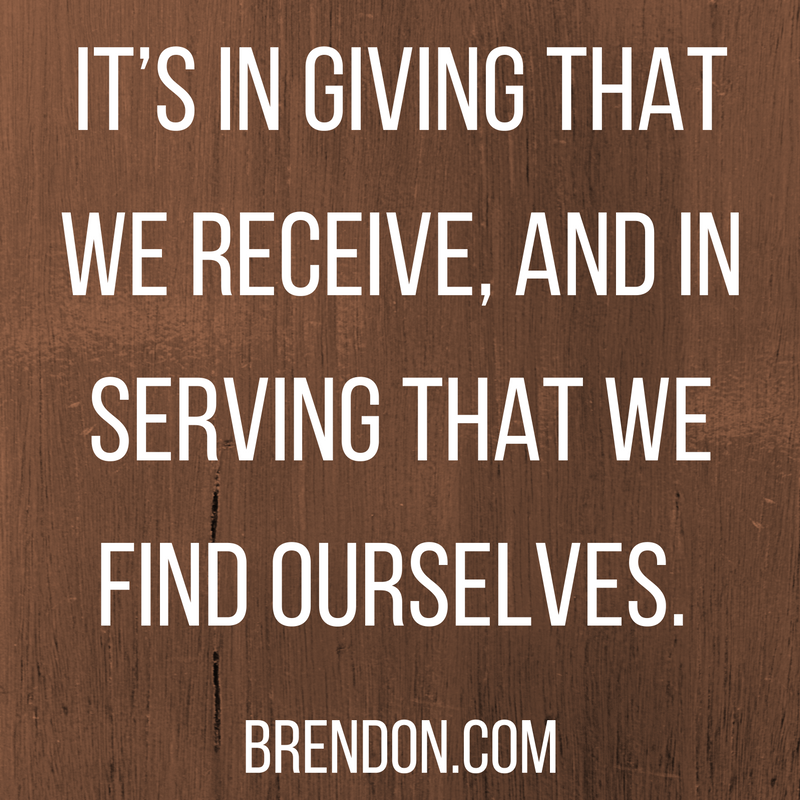 Sometimes, it’s in serving that we find ourselves. 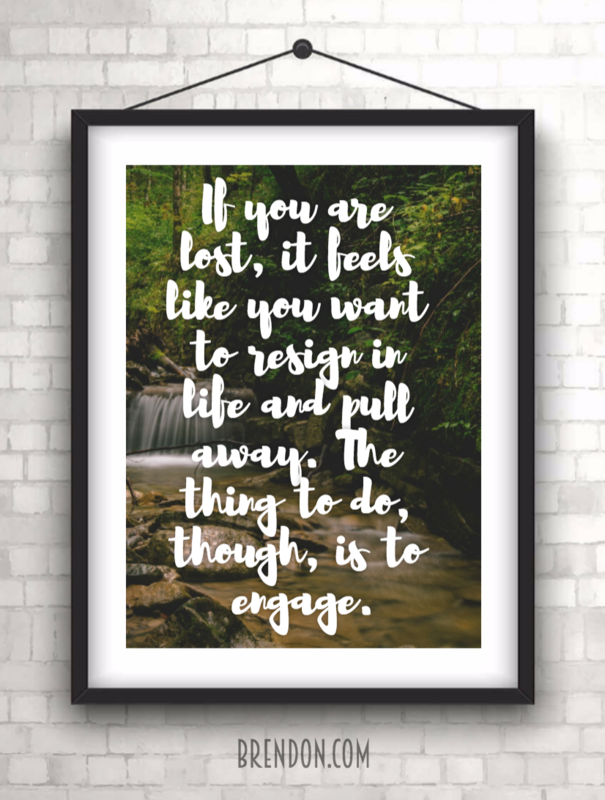 And so, if you’re feeling lost, then it’s time to re-engage and give your energy and time to communities in need. If you do that, you will never be around more positive, more engaged, more amazing people than you will when you get around the spirit and the heart of servant leaders. Having been a volunteer for non-profit organizations my entire life, giving, serving and being side-by-side with people who are so genuine and so interested in helping people for no other reason than that they were spiritually drawn to the work, my spirits have been lifted immeasurably over the years. While being more social is a great way to remedy feeling lost and confused, spending some time with yourself and reading a good book is also a great way to ease your discomfort. Go pick up a great personal development book, your Bible, Quran or whatever spiritual text that you love. Go read something that will help you feel better and find your way again. I remember in college after I suffered a very severe bout of depression and suicidal thoughts, I started reading great books and it started making me feel better. I read some of the greats and the classics. I read Paulo Coelho’s The Alchemist. Paulo is one of my great friends and mentors, and I’ve helped him with his books. He’s been such a great influence in my life. I read books like Benjamin Hoffman’s The Tao of Pooh (as in Winnie the Pooh) that taught me about Daoism, and that helped me feel a little bit better. Then I started reading Wayne Dyer, Stephen Covey, Dale Carnegie, Og Mandino, as well as listening Earl Nightingale. I read the classics from personal development that helped me start feeling better. They didn’t give me all the answers, but they started sparking ideas about living a better quality of life that gave me the will, motivation, ambition and hunger for something better. Get momentum by achieving small daily goals. I recommend that you wake up each morning and decide to achieve three goals in that day. The goals can be as simple as taking a shower, calling someone, or volunteering. Whatever it is for you, set some goals and start getting momentum. Maybe these aren’t goals attached to your life purpose, because you haven’t figured out everything yet. But it’s in living life that we start to find what’s meaningful in life. So, start accomplishing small things. Start moving towards the things that you have identified, that you do want more of. It could be basic like getting a little healthier, eating a little better, sleeping better, or even talking to more ambitious, positive people. Just get out there, and start achieving. Just start taking these small steps toward living a better quality of life, and you will start to find your proper path in life. You will start to feel better. You will start to once again experience what we call, The Charged Life.